A Kenilworth bookshop expressed ‘excitement and surprise’ after winning a regional independent bookshop award. Kenilworth Books in Talisman beat off competition from five other bookshops to win the ‘Midlands and Wales’ category of the British Book Awards’ Independent Bookshop of the Year. The shop, run by just four staff members, now has a chance to win the national version of the award, and will find out if it has won at a ceremony held in London on Monday May 8. The owner of Kenilworth Books, Judy Brook, found out the news on Thursday March 16. She said the win was completely unexpected. She said: “We felt a mix of excitement and surprise when he heard the news. We didn’t necessarily expect to get through - we hadn’t planned that far ahead. “We’re just pleased to be going down there. It’s a very prestigious award and we’re enjoying the buzz that it’s created. Judy said the feedback from customers submitted to the British Book Awards helped the shop win the regional award, and felt the links they made with nearby shops and schools helped foster a sense of community. Judy added: “That’s been the nicest thing. We’ve made a lot of effort to become part of the community. The staff are looking forward to the ceremony, and are particularly excited to meet some big names. Authors such as JK Rowling and David Walliams are up for awards in other categories. 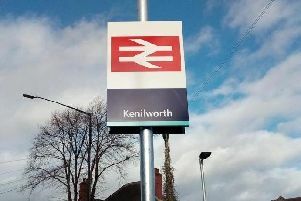 Grace Harrison, head of events for The Bookseller, part of the National Bookseller’s Association, congratulated Kenilworth Books on becoming national finalists.